The King of the Kiwis, the Great Spotted Kiwi is native to New Zealand, and this oddly beautiful bird is the largest of its kind. 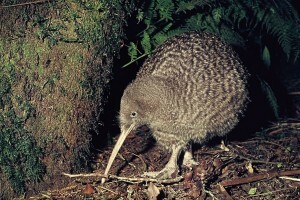 The Great Spotted Kiwi is one of the most common species of Kiwi, though they are still quite endangered. The Great Spotted Kiwi is known for its good sense of smell. They have nostrils on the tips of their beaks, which they use to dig into the ground sniffing out potential food sources such as earthworms. 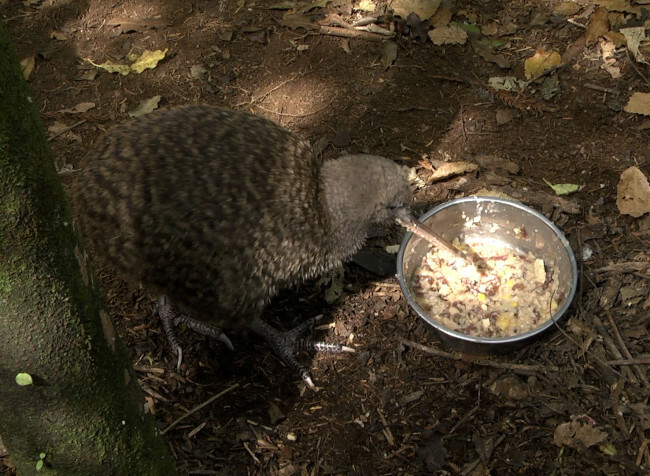 In addition to grubs the Great Spotted Kiwi has also been known to eat berries and seeds. These striking birds also dig burrows, which they use to for sleeping. 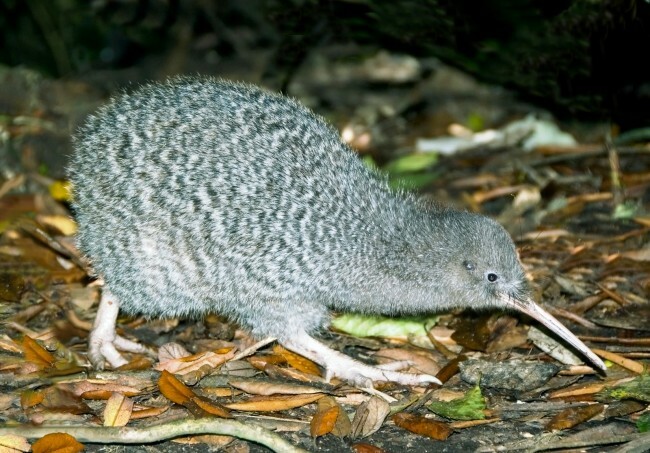 Like other Kiwis, the Great Spotted Kiwi is largely nocturnal in its behavior, rising from their burrows at sunset to begin their day’s activity. The Great Spotted Kiwi shares many visual features with its brethren. They have plump bodies with an unusual plumage that looks a lot more like thin hairs hanging from its body than normal feathers. In addition they have long whiskers! They have a long, thin, curved beak with its nostrils at the end. Three powerful toes step around the forest, accompanied by short, strong legs. 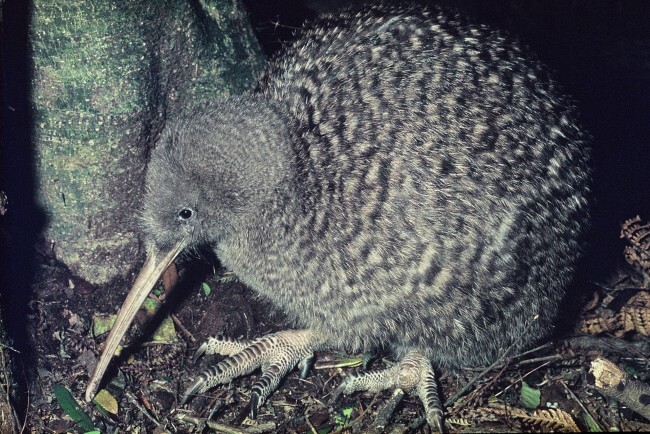 The Great Spotted Kiwi, in particular, gets its name from the black spots that occur in its coloring scheme. Like other ratites the Kiwi cannot fly. The Great Spotted Kiwi has small eyes that do not see particularly well. Like other Kiwis, the Great Spotted Kiwi has its nostrils at the tip of its bill. Females can be distinguished from males by their larger size. 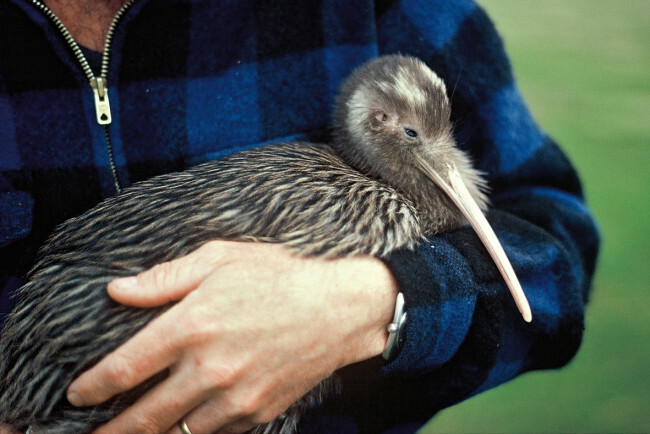 The Great Spotted Kiwi is an endangered species with only an estimated 10,000 pairs surviving in the wild. They originate in the Northern West Coast and the Southern Alps between Arthur’s Pass and Lake Sumner New Zealand, and have been found primarily in Northwestern Nelson. This is a high altitude species. Today they are found mostly in protected regions. Population decline can be attributed to several factors including, habitat destruction and predation. Humans have also hunted the Great Spotted Kiwi in the past for their plumage as well as for eating. Conservation programs are in place. 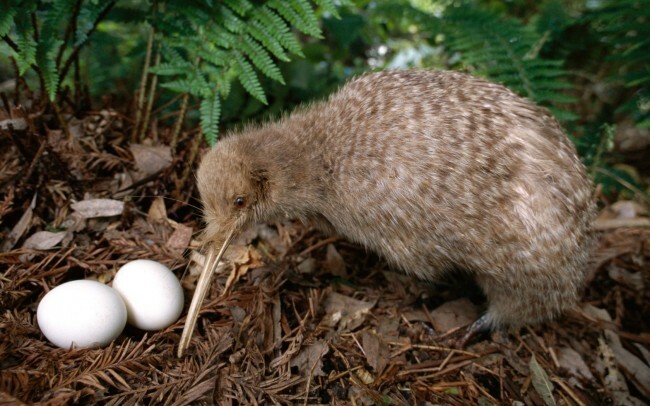 The female Great Spotted Kiwi will lay eggs that are approximately one quarter of the size of the female. The males will then incubate the eggs for approximately three months.